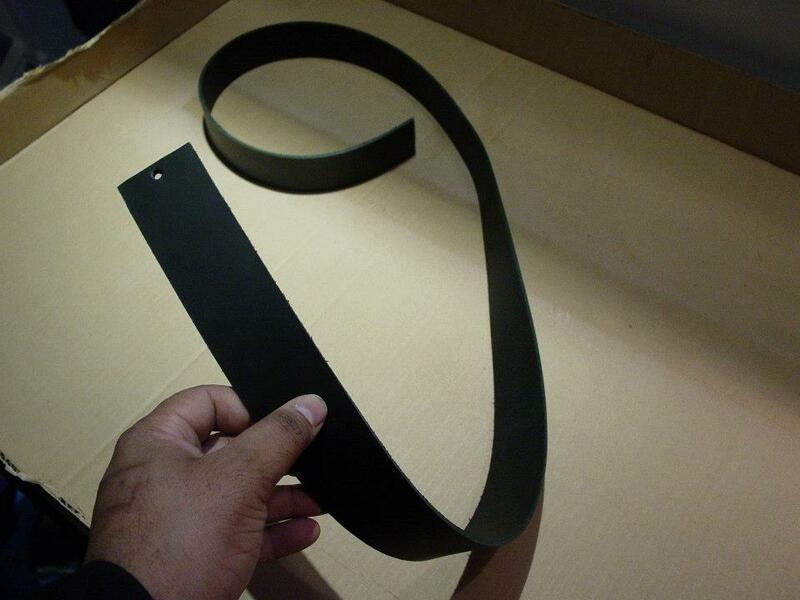 2-1/2 inch wide Leather belt blank for The Riddler. 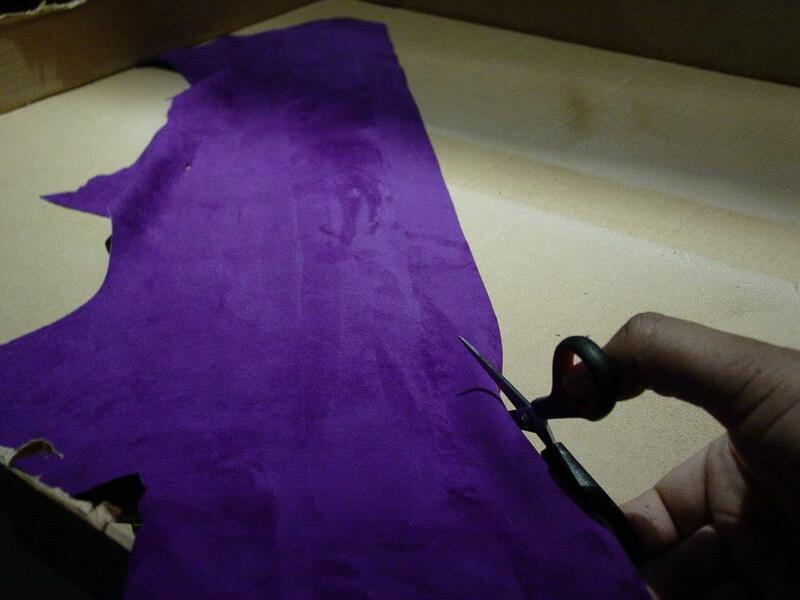 Production Costume Designer Roberto Williams cuts beautiful Royal Purple pig-skin suede for The Riddler's belt. 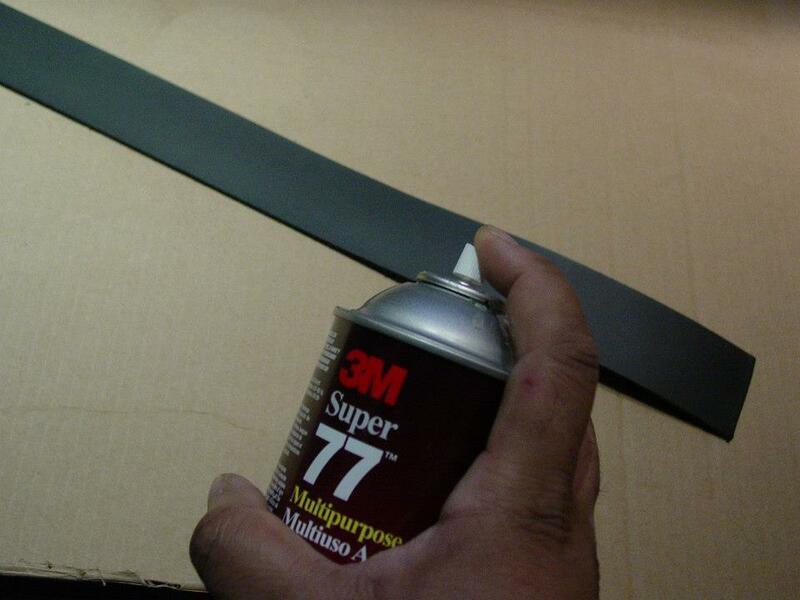 3M Multi-Purpose Adhesive is sprayed on belt blank for attaching colored fabric layer. 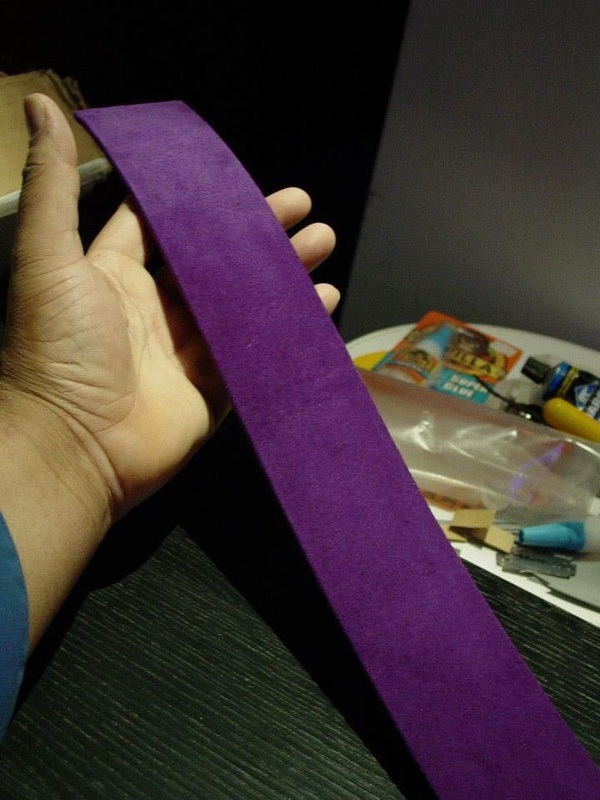 Purple suede bonds permanently to glue-covered belt blank. 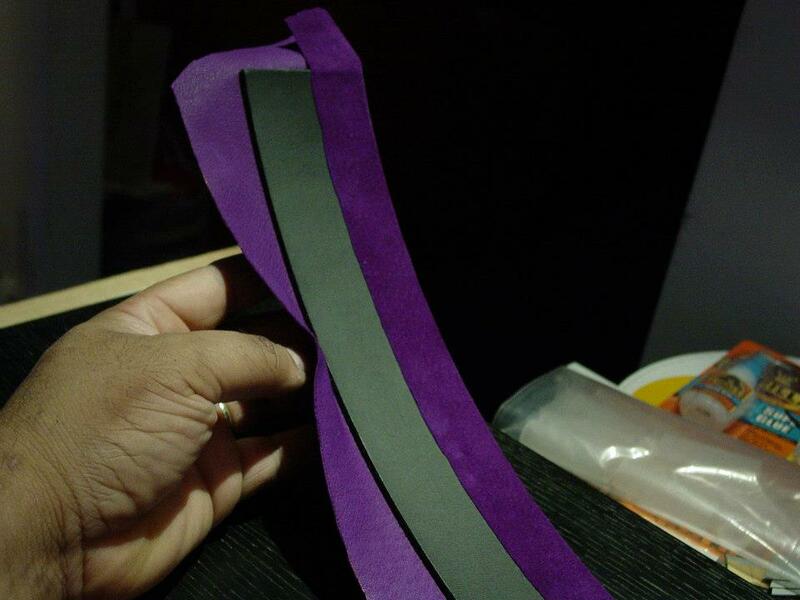 Trimmed and glued purple suede is carefully folded over to the back side of the leather belt blank. 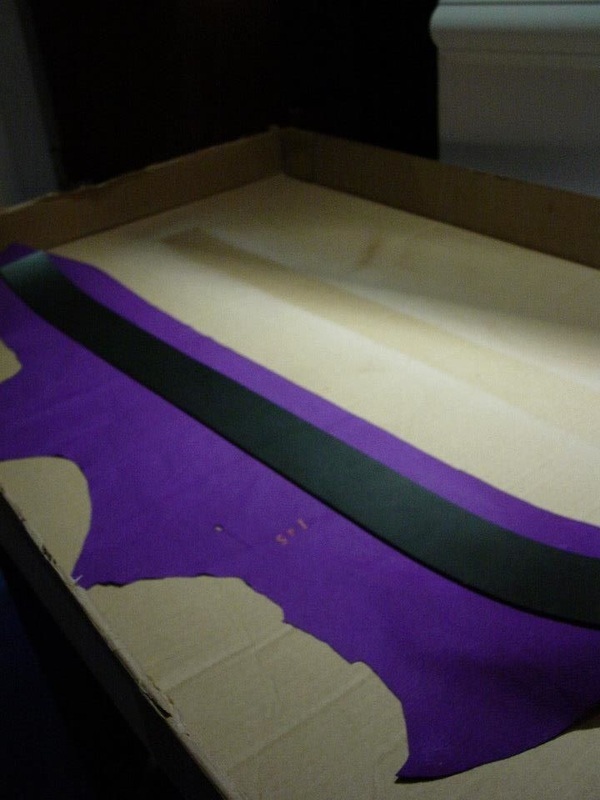 Outside face of The Riddler's finished Belt Band. 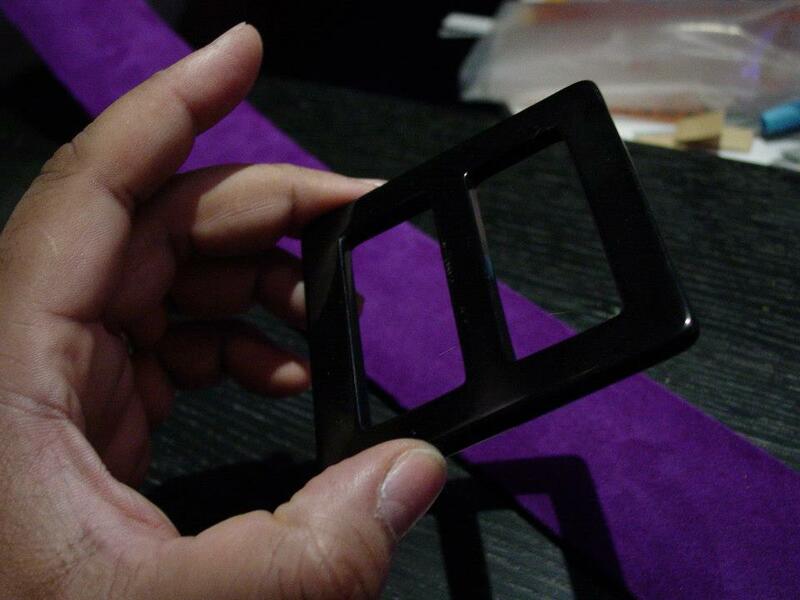 Large black square belt buckle obtained from M&J Trimming in New York City's midtown Garment District. 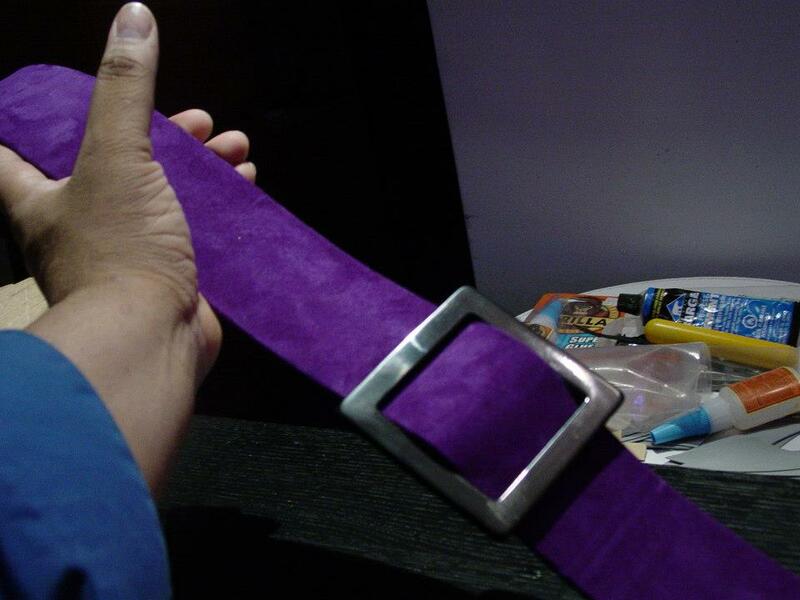 The Riddler's costume belt. 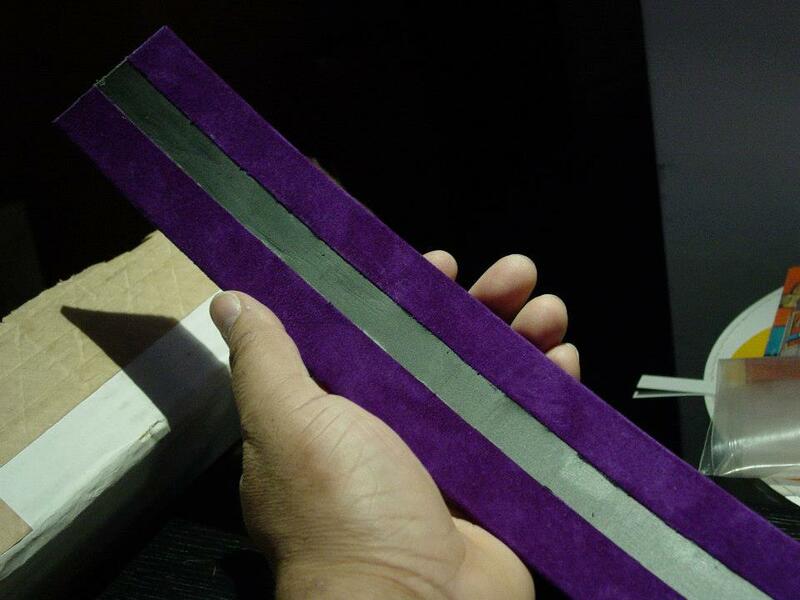 Designed and fabricated by Costume Designer Roberto Williams.